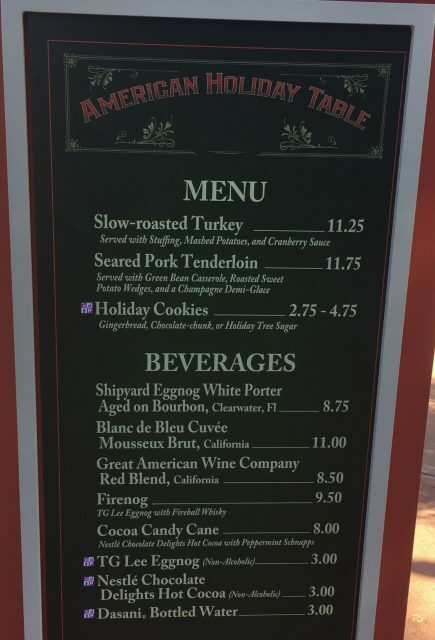 It’s Holiday “Food & Wine”, Folks! 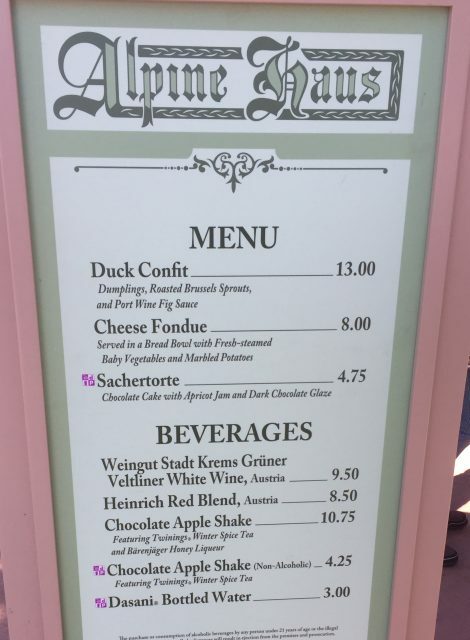 … report provided by John Peters | It's "All in WDW"
You all know how much I love Food & Wine, don’t you, my friends? 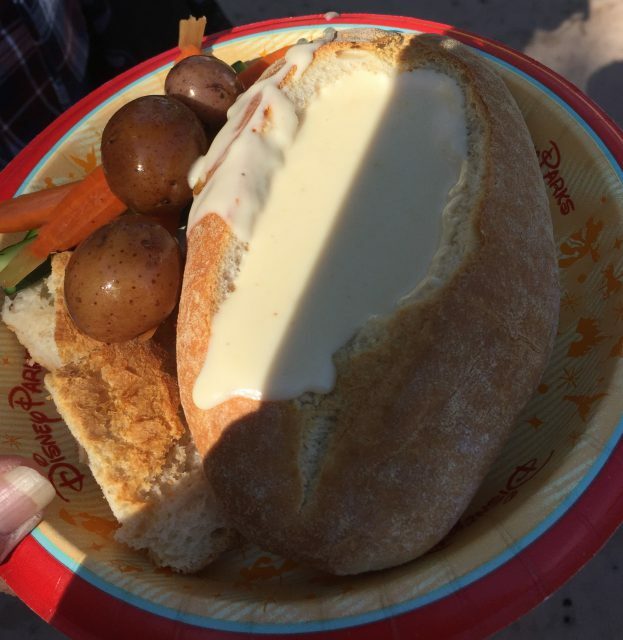 Hey, if you listen to Doug Davis, Epcot’s annual food-fest is my “Super Bowl”. Actually, that’s not too far from the truth. 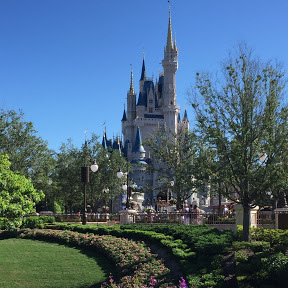 All in WDW does get its best “action” – by way of visitors and page views – when the festival opens in September! Having said all that, imagine my dismay when Disney announced the arrival of 2016’s “Holidays Around the World Marketplaces”. Wait. “Dismay”? Well, I knew that Mrs. All in WDW and I weren’t going to be able to make it to Orlando this Christmas season. I also knew that I was doomed to miss this particular “party”. 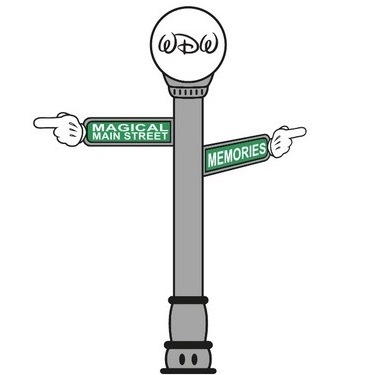 Thankfully, we – the WDW Main Street Podcast and All in WDW – have a Florida correspondent! John Peters to the rescue! So. Where first, John? “Big difference between this and the Food & Wine festival, Bob. The prices and serving sizes are both bigger. Let’s talk Alpine Haus. 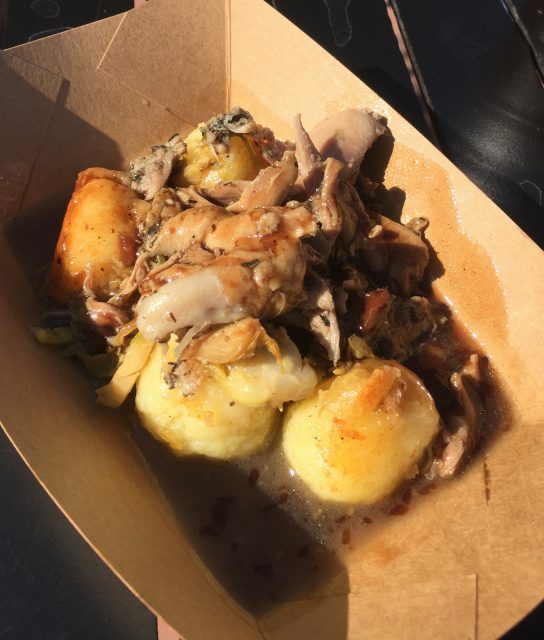 Found between France and Morocco, we sampled their Duck Confit and Cheese Fondue. The duck was $13, but it was a lunch entrée size. My wife loved it! I found it to be a little bit too rich! Now, the cheese, on the other hand, was great! But, I’ll tell you this … you better really like cheese! There’s a lot of it! 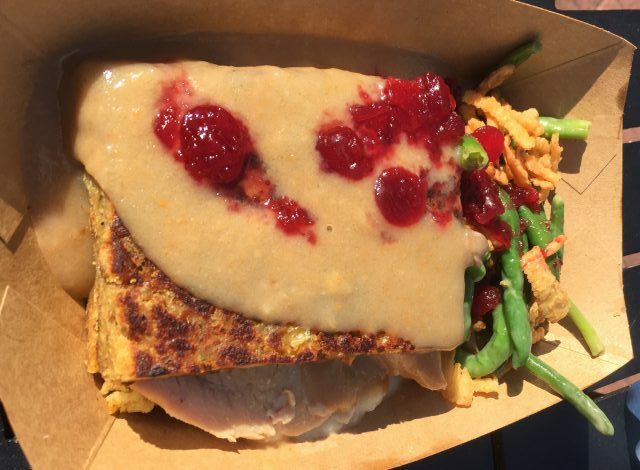 American Holiday Table is serving Slow-roasted Turkey and Seared Pork Tenderloin. We chose to try the turkey. 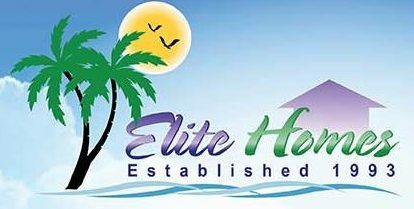 It was very well done and enjoyable, but it was simply typical holiday fare. I was excited by the beer I tried. It was the Shipyard Eggnog White Porter Aged in Bourbon. It was very good, but it was also very, very rich. To end the “tour”, we stopped by Prost! 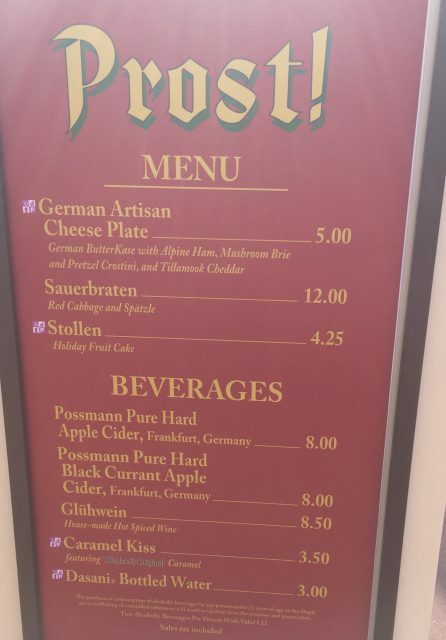 Located between Germany and the African Outpost, we sampled both of their items – a German Artisan Cheese Plate and Sauerbraten. The cheese plate was a good deal. 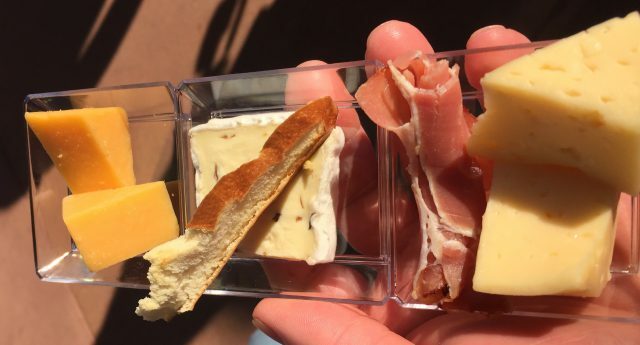 Three unique cheeses and a slice of ham for $5. 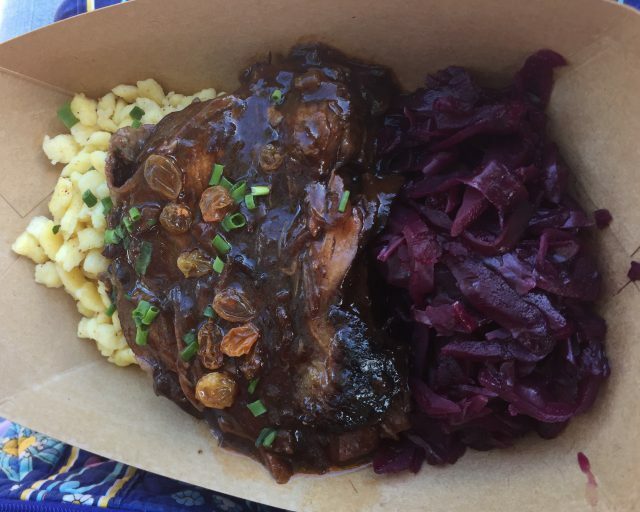 The sauerbraten, though, was probably the “winner” of the day! Wow! Sensational reports, John! Fantastic job! I’m even more dismayed. I mean, that sauerbraten looks delightful! Actually, folks, it’s true. 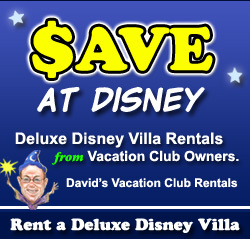 We won’t be making our own trip to Disney this holiday season, but we’ve sort of done the next best thing. We’re scheduled to attend the opening weekend of January’s “Festival of the Arts”. 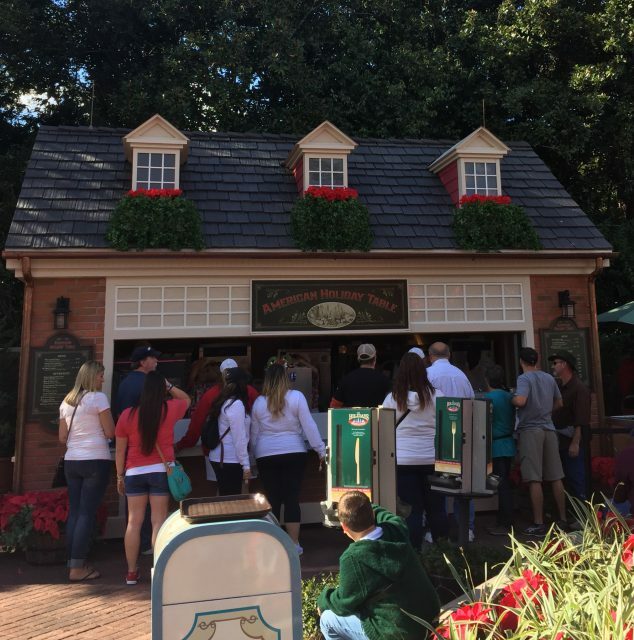 Epcot mentioned something about “Food Studios”! Hey! We’re not going to miss out! Mrs. All in WDW and I are going to drop in and see what these “creations that look almost too good to eat” are all about! 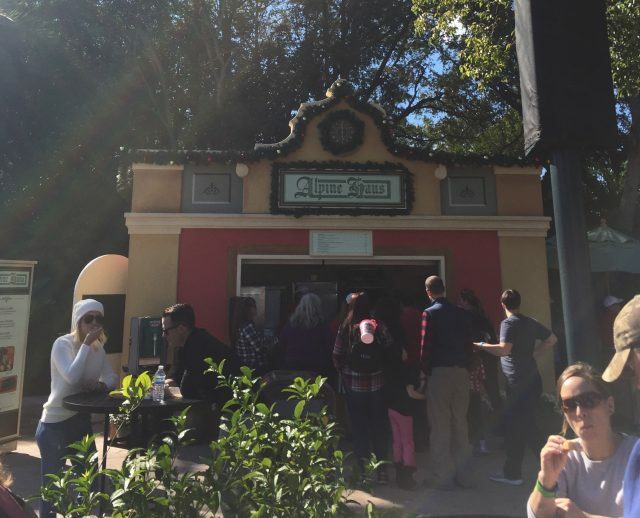 “Food & Wine” in January? Yeah, we’ll be there, for sure! 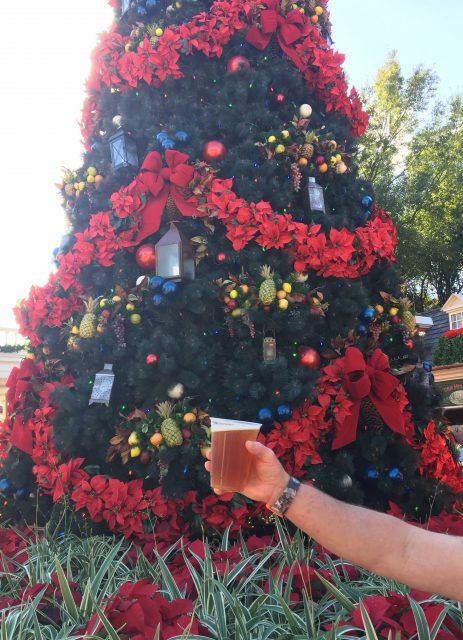 ← “Beverage” Recon: Coca-Cola Store in Disney Springs … presented by Dennis Conroy!